This isn’t a guide so much as a few quick tips to enjoying your first trip to NYC. 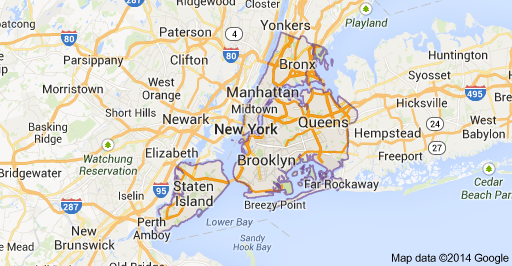 New York City is composed of five boroughs: Manhattan, The Bronx, Brooklyn, Queens and Staten Island. As a newbie traveler, I would have attempted to hit up at least three of them on my first trip to New York. As a more seasoned traveler, I recommend picking one, sticking with it, and really exploring – you’ll be less rushed, enjoy and experience more, and be able to really soak up the vibe of whichever one you choose. Below is an overview map. -Fly into Newark airport. It’s significantly cheaper. -If you can, go into spring. According to a New York City resident, May, June, September, and October are best. July and August are great, too, if you don’t mind the heat. It’s great to come in the warmer parts of the year so you can explore NYC on foot.